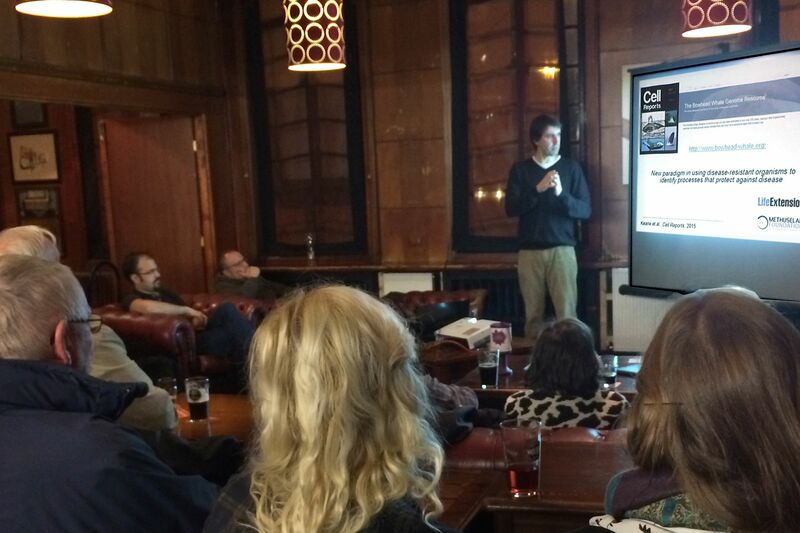 Liverpool SciBar is literally science in a bar (or pub). It takes place in the first floor of the Ship & Mitre. I gave a presentation on ageing and potential implications to society of retarding human ageing. There were ~25 people in attendance (the maximum capacity is 30), so it was a good house. The audience was a mix of young and old, University students and non-experts, men and women. 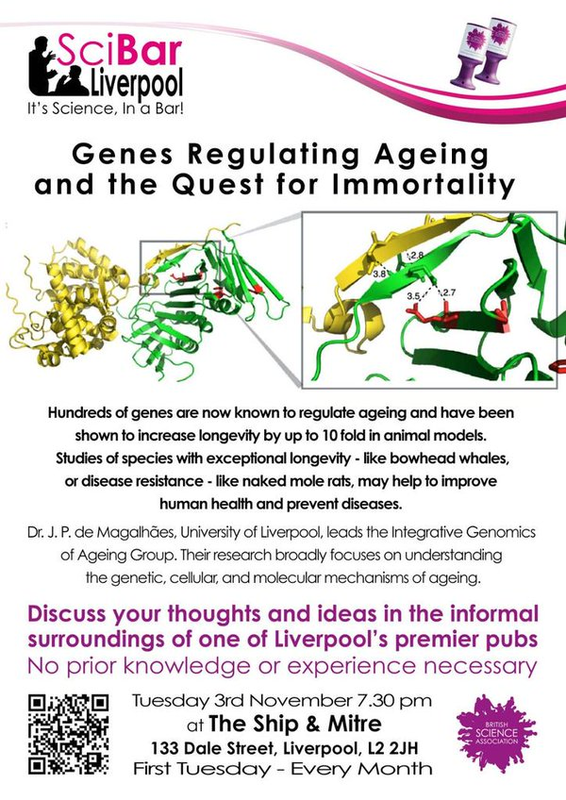 There were loads of excellent questions, from concerns about the implications of longevity therapies, to questions about diet and health, and even questions about what is possible to learn nowadays about ourselves from genetic testing. (As an example, I told of how my dislike of coriander has a genetic basis.) My presentation ended up being almost an extended discussion, which made it thoroughly enjoyable.